TORONTO (Reuters) - The Canadian dollar strengthened to a two-week high against its U.S. counterpart on Thursday as worries receded of an escalated trade dispute between the United States and China and as the greenback broadly fell. Signs of movement in the U.S.-China trade stand-off and a bumper interest rate hike in emerging market trouble spot Turkey sent world shares higher as risk appetite returned. The U.S. dollar weakened against a basket of major currencies following data that showed U.S. consumer prices rose at a slower pace than analysts expected. At 9:13 a.m. (1313 GMT), the Canadian dollar was trading 0.1 percent higher at C$1.2986 to the greenback, or 77.01 U.S. cents. The currency touched its strongest since Aug. 30 at C$1.2976. 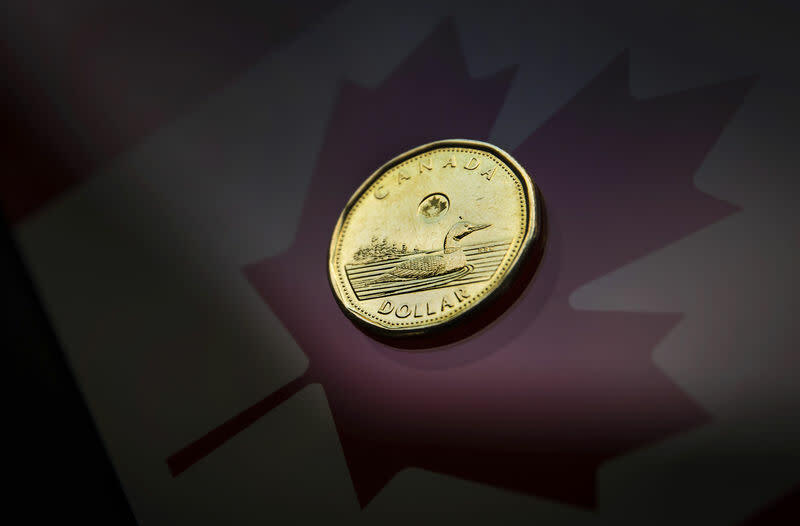 The loonie has been boosted this week by higher oil prices and optimism that a deal to renew the North American Free Trade Agreement would be reached. The price of oil, one of Canada's major exports, slipped back from four-month highs as investors focused on the risk that emerging market crises and trade disputes could dent demand even as supply tightens. U.S. crude prices were down 1.3 percent at $69.47 a barrel. New home prices in Canada increased by 0.1 percent in July from the prior month, matching the forecast of analysts. The year-over-year increase slowed to 0.5 percent from 0.8 percent in June. Canadian government bond prices were higher across the yield curve in sympathy with U.S. Treasuries. The 10-year climbed 15 Canadian cents to yield 2.318 percent. On Wednesday, the 10-year yield touched its highest in more than one month at 2.347 percent.